One of the reasons why I have a doubt on letting search engines to index the Tags, Categories, Media and Archive of my blog is the rumor that Google penalizes duplicate content. Is this idea true or false? With an aim of reaching the readers – especially the visual merchandisers – of The Creativity Window in fastest way by the help of the search engines, I have put this blog into test by allowing search engines to index the Tags, Categories, Media Attachment, Archive and other pages that could be possibly devoured by crawlers. The result is quite good. Sometimes the tags are on the top of search results. Another reason why I did that is to prove that there is no harm of letting the big G index the Tags, Categories and Archive of anyone's blog. I'll give you an example later on. An idea that contradicts an issue about Google penalizes duplicate content was actually been published on the web even before I discovered it. Let me quote a part of an article from Build my list today (www.buildmylisttoday.com) about myths of duplicate content. "Now, the real problem lies not with Google or with webmasters but with the rumor merchants. The group of people who purport to everyone else that unless you spin your content it will be filtered out for being duplicate. Perhaps not surprisingly, these people invariable have a product to promote – article spinning software. The counter argument is that duplicate content is filtered out. This argument is not only flawed, it is misleading and can cost you money." I have an article which was duplicated by someone and published it in different title. The content is exactly the same – no spinning and no rewriting done on the article. Even the color of sub-topics were not change before it was publish, but when the term "visual merchandising elements" is searched on Google, that duplicated content is No. 1 on the search results page. Why does it happen? Google itself has the answer. The recently updated article of Google Webmaster Tools about duplicate content says, "In rare situations, our algorithm may select a URL from an external site that is hosting your content without your permission. If you believe that another site is duplicating your content in violation of copyright law, you may contact the site’s host to request removal." I wrote another article about the different types of window display and I use Top 6 Types of Window Display as title, then I use types of window display as tag. When the terms ' types of window display' is search on Google, my main article appears on the first pages of the results and the tag is on the second page. See this image below. Again, Google has the answer on it. On the same article I have mentioned above, it is said that duplicate content on a site is not grounds for action on that site unless it appears that the intent of the duplicate content is to be deceptive and manipulate search engine results. 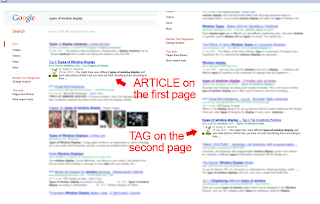 Therefore, it is safe to let Google index your blog's categories, tags and archive. So what can you say about this issue? Are the tags and categories in your blog indexed? Share you opinion as comment. Jyppe A. Quidores is a print design and visual merchandising specialist. He blogs at The Creativity Window about (but not limited to) visual arts with emphasis on visual merchandising, print design, product photography and creative display – which are helpful for retailers and other individuals from different creative fields especially the beginners. YAy! So you mean I can use some of my articles from my business blog in my new finance site?? Cool! Now I need not worry on the duplication issue. Thanks for this info. I didn't know you can opt your categories, tags and archives not to be indexed by google. i just didn't see that option on my blog. looks like i will have to explore the ins and outs of my dashboard. Now my question is... how do I let Google index my blog's categories, tags and archive? I have yet to learn onsite SEO. I hope to read tutorials on this. i dont really understand the logic of this. I just love to write and blog about it. But im reading these so I can also understand these things.. If we are to believe just about everything Google is supposed to be doing, we may probably not be able to do anything productive for our sites. I do not claim to understand how Google and other search engines exactly do their work so I try to keep it simple by relying on the basics which is to provide relevant content with appropriate tags and keywords. I do read all the relevant information I come across and try to use the ones which I think are applicable. I just hope it bears fruit. I have some duplicate contents too wherein I have found that it was copied by a fellow blogger. My solution is to write-protect my site and I think it will help somehow.. I think we cannot avoid duplicate content and it is good that google has a reason and ways about penalized contents. Thank you for your helpful article. Now, I have an idea about Google index. I'll read more about how to do this and the tags. I've no idea about this issue how Google index blog content, title, tags, keywords or whatever as long as I write a blog and post it. 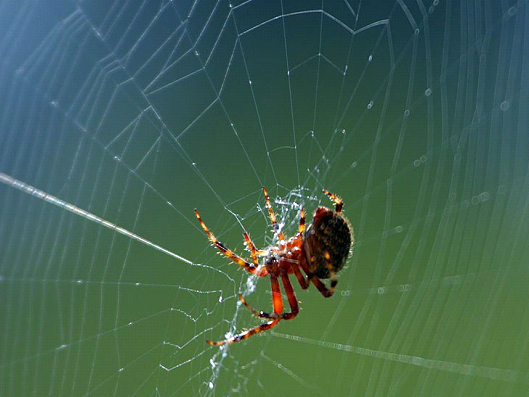 There it goes all the long way to the web world. Anyway, this adds for my inadequate info about Google Indexing activities. Thanks, Tess. 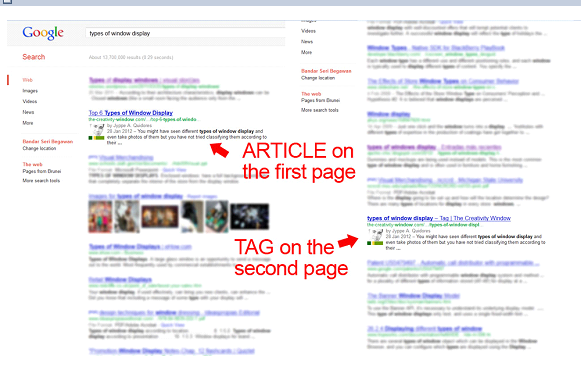 I'm using blogger platform and duplicate tags in webmasters tool bothers me. It's because it may lessen the strength of the link juice of a certain post or page. Thanks Jyppe for enlightening me, especially on sharing your personal experience for your site. This is indeed informative for me for I've not known about this Google indexing job. Now, I know. I'm really appreciated your effort, Tess. it's sad but true. there are a lot of bloggers out there who just can't make their own article that they had to copy someone else's articles. I had that experienced too and the person who copied my article was from india. Ugh! I am not a techie person so I don't really know if my content/tag or whatever is being indexed by Google. This shed a light to some of my questions, so thank you! I dont understand all of what you pointed out but I do agree with you Google penalizes duplicate content - how would G recognize which one's the original post though? There is really no harm of letting tags, categories and so on to be indexed, the main problem is, mostly tags especially is often get indexed first rather than the main content itself.So the moment Google will indexed your main content, tags are visible already that is why most would say or rather google would say that it is a duplicate content because prior to indexation of the main content, tags are already there. This gives me a sigh of relief, not because I was copying from other source or posting duplicate contents, this is for the contests/giveaways that I'm part of and also the PR kits that advertisers sent for me to post on my blogs. I was worried before it might affect my rankings, thanks for the tips..
WOW! I learned a lot in this article but Google still confuses me in matters of Page Ranking. I just blog, write my article, and post without really giving much attention to this indexing thing :-) Sounds so complicated to me. Nosebleed ang show :-) I need to learn! Thanks for this valuable information. same as other commenters here..i am not a techie person too..so i dont care about how all that SEO stuff works.. LOL..as long as I blog..thats all. I also need to learn more on this! How do you let Google index Blog's Categories, Tags and Archive? via Google Webmaster Tools? from the SEO standpoint you really need to NOINDEX your archives, tags and categories to eliminate duplicate content on Google index and give your individual post a better ranking on Google search results. If you are allowing it to be indexed by search engines, your content are competing with each other for the keyword you want to get better ranking on the search results, giving the your competitions an advantage. I am as confused as many here are...I don't get SEo at all but thanks for the input! I'd make use of indexing well! This shed a light to some of my questions, so thank you!